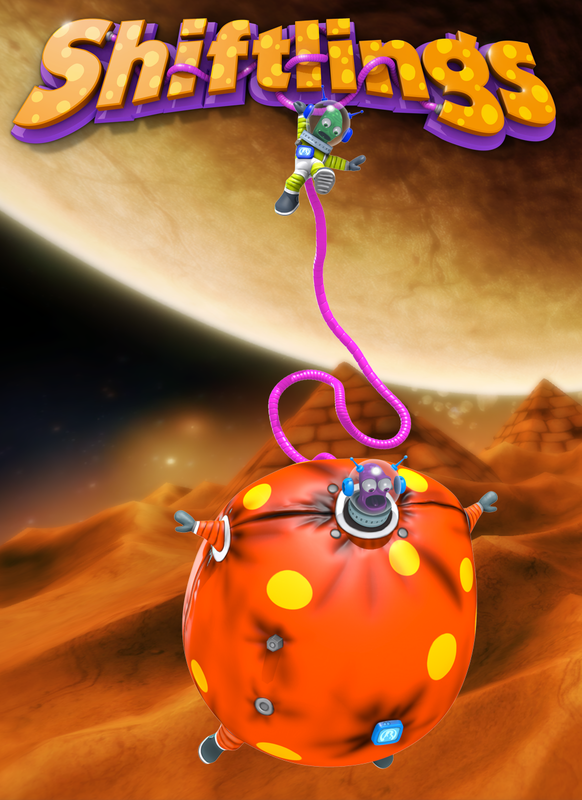 In Shiftlings you wobble your way alone or with a friend through the depths of space while your goal is to get both our alien friends to the end of each level. Preferably without any casualties! Our Space Janitors are not the smartest guys in the Universe which leads them to crashing their flying saucer constantly. During one of the crashes they lost all their air supply and are now forced to share the remaining air while being connected by the air cable and exchanging air back and forth. Your task is to not only guide them safely through all the challenges but help them repair their ship so they can crash on the next planet, of course. In single player mode, the player can switch the controls between the two on top of switching the size between both, while in co-op mode, each player controls one of the two twins while both players can switch size at any time. 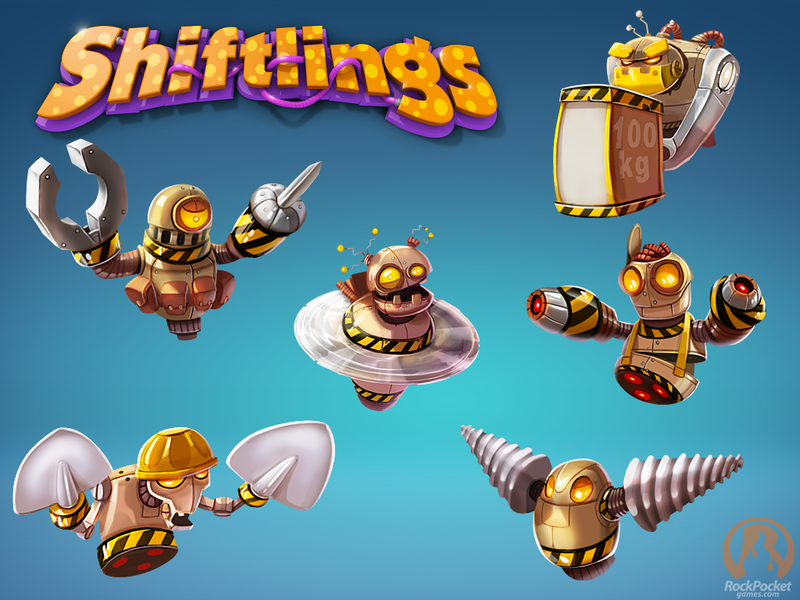 The fact that both players can switch size at any time might test your friendship while playing Shiftlings, so be prepared for some chaotic fun! 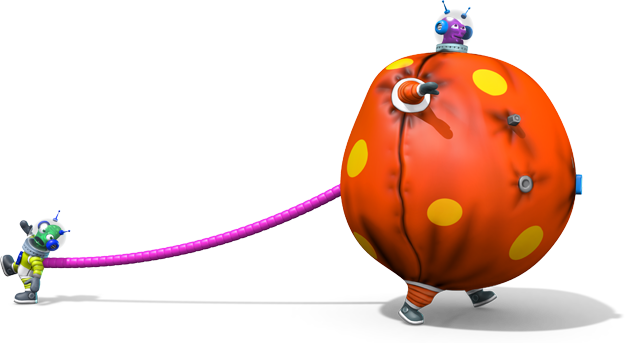 On top, that both characters are connected by the cable at all times can both provide a challenge but also solutions to puzzles. There are always several options to solve a puzzle or like they used to say: "There are many milky-ways leading to Mars". These guys are the ones going to make our heroes' life harder. Thankfully they are not that smartest guys either so it remains to be seen who of them gets out of an encounter unscathed. We like all of them but who of these little robots is your favourite?